There are places surprising and delightful and relatively untouched that you can still find in the world. 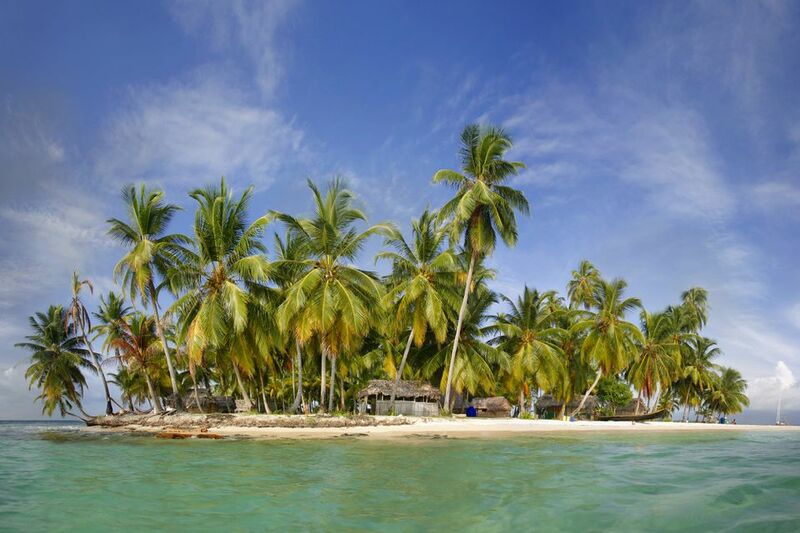 In the San Blas Islands on the Caribbean coastline of ​Panama, there are literally hundreds. 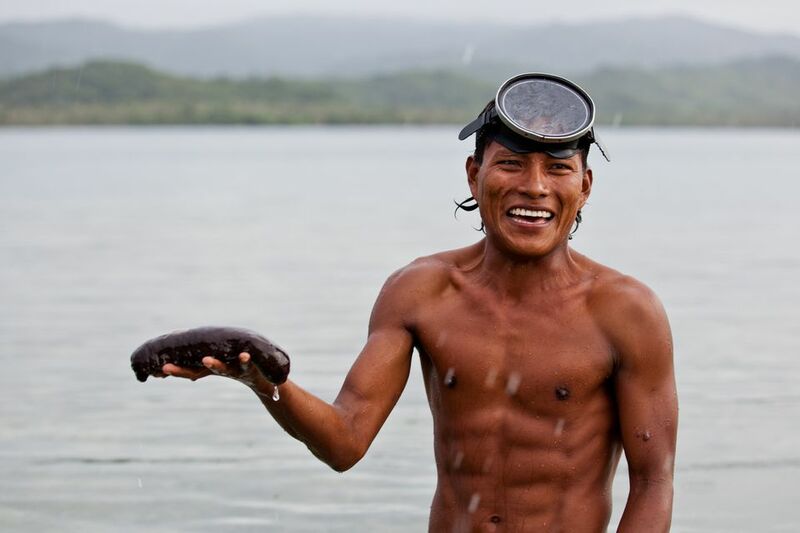 The San Blas Islands are popular with eco-tourists due to their pristine natural state, relatively undisturbed culture, and — as hurricanes rarely visit — its friendly waters for sailors. For visitors, popular destinations include small eco-resorts scattered around the archipelago (some with overwater accommodations) along with the regional capital of El Porvenir, the densely populated island village of Carti Segtupu (Crab Island), and two keys, Cayos Limones and Cayos Holandeses. It’s a place made for lingering, but that doesn’t mean you need to make a major commitment of time to get a taste of San Blas. Tour company Vacation to Panama offers one-day trips from Panama City to Crab Island’s tiny Kuna community, and Isla Aguja — uninhabited but popular, it’s got plenty of amenities but an off-the-grid feel. On Crab Island, about 1,000 Kuna live in a crowded cluster of thatched huts with dirt floors accessed by narrow pathways, with lush gardens popping up here and there. The Kuna themselves seem at once wary and welcoming, and who can blame them with camera-toting tourists eager to snap and speculate over what seems like abject poverty to outside eyes. But as in many such places in the world where people live day-to-day and off the land or sea, nowhere will you find people with bigger smiles. In the center of the village is a huge hut serving as the village church, where hammocks sway and welcome families to sing, rest, and read the Bible. Here you’ll find church elders happy to tell you about the stories of the Kuna, an indigenous people who must balance their traditional way of life with those coming to share in their daily activities of music, food, and art. You can also buy island-made goods, such as colorful clothing sewn by the Kuna women, attire known as “molas” which are handcrafted in vibrant colors. If you want to take photos, ask first. Isla Aguja can be fairly busy on weekends: It’s one of the most popular islands for Panamanians taking San Blas day trips. But on a weekday it tends to be blissfully quiet and relaxing, whether you’re lounging on the gorgeous beach, walking through groves of swaying palm trees or strolling around the rather small, easily navigable island. Isla Aguja has a large kitchen, dining area, toilets and a variety of accommodation options. Best of all is the pristine, long white beach, one of the nicest in this sprawling island chain. Two of the more populated islands you can tour via Vacation to Panama are Nargana and Corazon de Jesus; the former is connected to the latter by a bridge and both seem downright urban compared to the rest of the San Blas Islands. Populous Playon Chico is a mix of developing and traditional culture, as well. To take advantage of the clear Caribbean waters and book a snorkeling and diving trip to the islands of Ailigandi, Wichuwala, Nalunanega, and Iskardup. Or set your sails for smaller islands with even less pronounceable names to comb beaches for shells and spot starfish and lobsters larger than any you’ve ever seen. The Yandup Island Lodge, located near Playon Chico, is the most acclaimed resort in the San Blas Islands, with overwater villas and both meals and tours included in the price of your stay. Family owned, the lodge retains close ties with the local Kuna community, so you don't feel isolated even though you're enjoying a true taste of luxury amid the beauty of Panama's Caribbean islands. It's the perfect base for exploring Kuna Yala if you have more than a day!